Above is a handicap of one minute. If a racer has no handicap, then it must be specified as 0:00:00. Here racer 101 had a handicap of 0:01:00, racer 102 had a handicap of 0:00:00, and racer 103 had a handicap of 0:00:50. 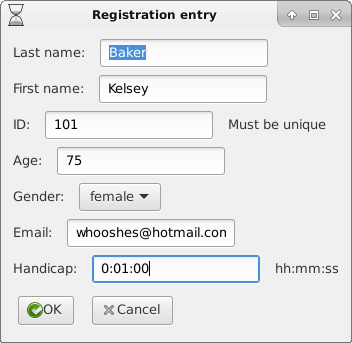 Racer 104 had no handicap specified (it was left blank in the registration database). Note that racer 102 is the correct way to specify that the racer has no delay in starting (set it to 0:00:00). 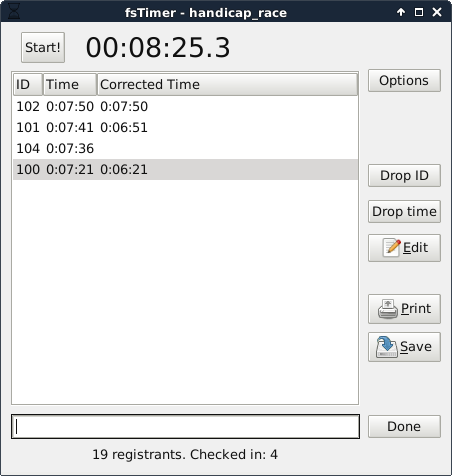 During project creation we specified the times to be ranked by Time, which for a handicap race means the corrected time. Note that 104 has no time listed, because no handicap was specified. 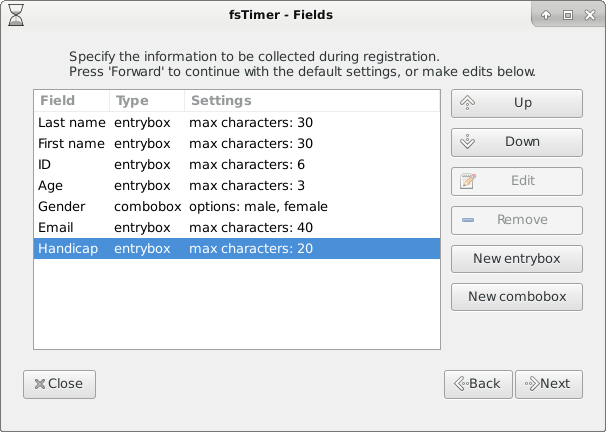 This could be corrected by editing the registration data ("Options" menu, "Edit registration data") to add a handicap for 104. Continue on to Additional details for developers.